East Ayrshire Coalfield Environment Initiative (CEI) is a “controller” of the personal information you provide to us. Send you communications in relation to CEI and partner-related news or opportunities we think may interest you. Gather feedback about our events and activities in order to improve the services we provide to our volunteers and the community. If your personal information is included in any images or videos we take, we may share this with event or project partners or funders, for promotional purposes. We may be required to share personal information with statutory or regulatory organisations, such as Disclosure Scotland or Police Scotland. Where we share personal information with third parties, we will only share the personal information strictly required for the specific purposes and will take reasonable steps to ensure that recipients shall only process the disclosed personal information in accordance with those purposes. We will only keep your personal information for as long as necessary or for as long as we believe you to maintain an interest in the CEI’s work. The right to request us to delete your personal information. 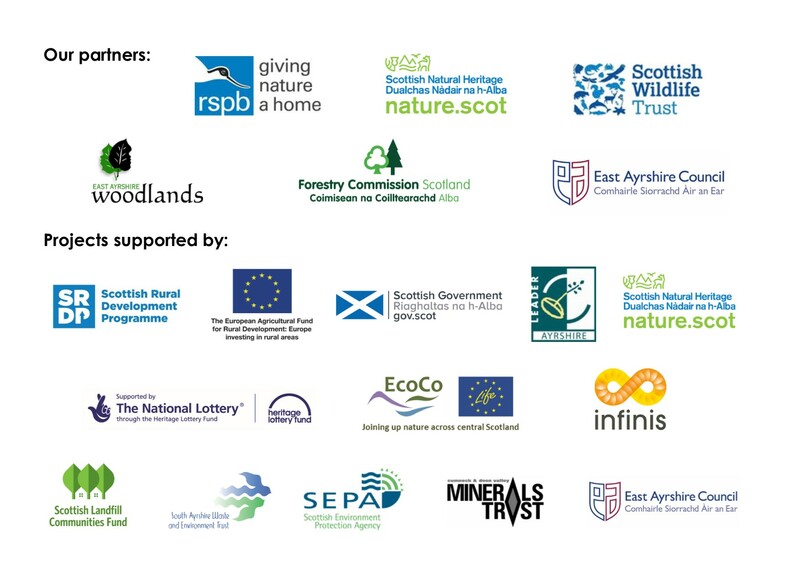 Any requests received by East Ayrshire Coalfield Environment Initiative will be considered under data protection legislation. If you remain dissatisfied, you have a right to raise a complaint with the Information Commissioner’s Office at www.ico.org.uk.